Savi-Ruchi: Event announcement | 'Only' Sandwiches, Burgers & Panini... And a giveaway!! Event announcement | 'Only' Sandwiches, Burgers & Panini... And a giveaway!! The advantages of preparing sandwiches are many. Foremost being it can be made in a jiffy. It is also healthy, filling & can be made as a complete meal by itself. Burger is sandwich consisting of a cooked patty placed inside the sliced burger bun.Both are served with a delicious dressing. Since sandwiches & burgers are our family favorite, I wanted to host this event. The motto behind it is to learn more & more sandwich recipes from you all. 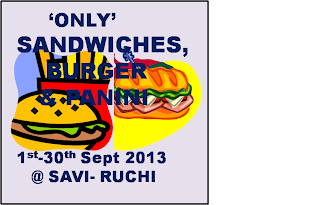 I am excited to host the 'Only' Sandwiches, Burgers & Panini. I hope you guys are all charged to participate in this event. To keep this blogging, sharing & participating more exciting, there is a cookbook sponsored by Tarla dalal. Pari of Foodelicious (who is the owner of this event) has written about the sponsored cookbook in her blog here. Now coming to the rules for the event. Any number of fresh entries can be sent but only two recipes from archives will be accepted. Non bloggers could participate too. Please take a picture of the sandwich, burger or the panini prepared. 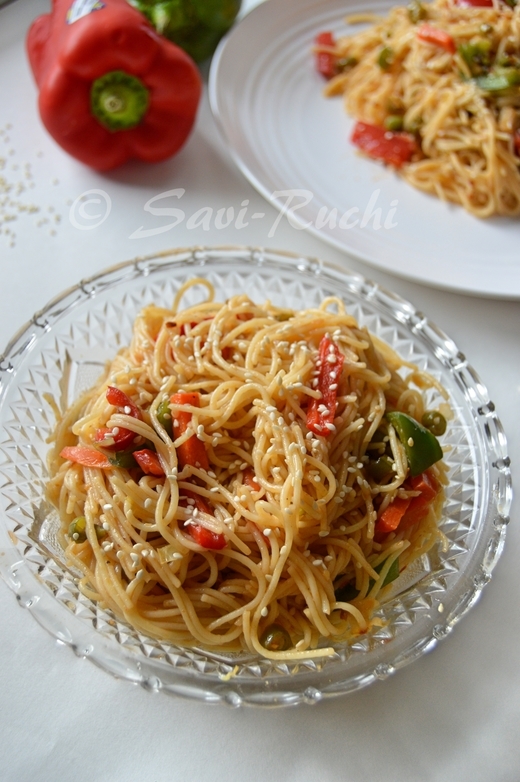 Mail me the picture and the recipe (Mail me at sushmadotsaviruchiatgmaildotcom). I will post the picture & your recipe during the event round up. Only Veg entries accepted (Eggs accepted too). New and old posts should be linked with my event announcement and Pari's giveaway announcement.The entries will not be accepted in case of failing to follow this rule. Link your entries using the Inlinkz tools. Those participating in the giveaway (anyone who can provide an address in India) enter under Giveaway participation entries category else link under Non participants of the giveaway. Please enter your entry only once in one of the links. Use of logo is not compulsory but will be appreciated if used as it helps spread the word. The giveaway is shipped only in India and only to the Followers of Pari's Blog. You can follow her blog trough Google Friend connect or Google plus publicly. Have linked 2 of my posts- chilli cheese sandwich n moong toast.. pls lemme knw if its fine. I have linked one freas and two archived entries.. will try to link more.